With the Winston three monitor stand, lift 3 monitors 24" wide up or down by simply pulling on the workstation with your hands. This adjustable monitor stand encourages a healthy, productive lifestyle by making it fast and simple to alternate between sitting and standing throughout the day. 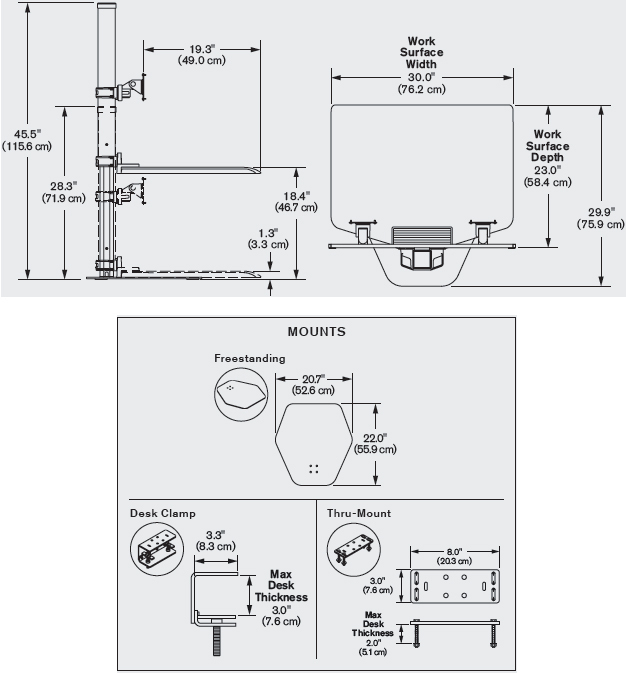 Additionally, the Winston workstation is great for glass desktops because no drilling is required to mount its freestanding base. A spacious 30" x 18.3" work surface accommodates documents, electronic devices, and other work necessities, and this stand is ideal for desks 24" deep. The industry's first locking cylinder keeps this multi monitor stand stable so that it won't wobble while you work. 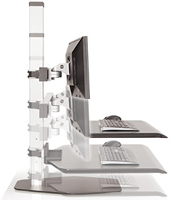 Winston sit-stand workstations encourage a healthier lifestyle. Standing for three hours a day can offer the same benefits as running 10 marathons a year, and even extend your life by 2 years. Other health concerns countered by standing include obesity, type 2 diabetes, cardiovascular disease, and cancer. 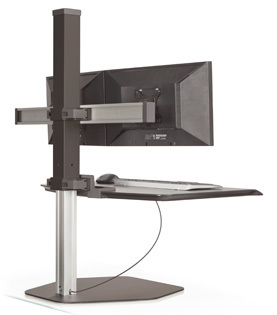 With a 17" range, most user heights can be accommodated by this 3 monitor stand. Its sleek professional design makes it ideal for a variety of users including gamers, programmers, graphic designers, medical office associates, and IT and security desk managers.